This may well be the most photographed scene in Norway. You see it on the covers of all the guidebooks. It’s the Geiranger Fjord, and while by no means the most beautiful of Norway’s fjords, it is among the easiest to photograph thanks to a model observation deck, courtesy of those amazing Norwegian engineers who seem to be able to build anything anywhere under any conditions. 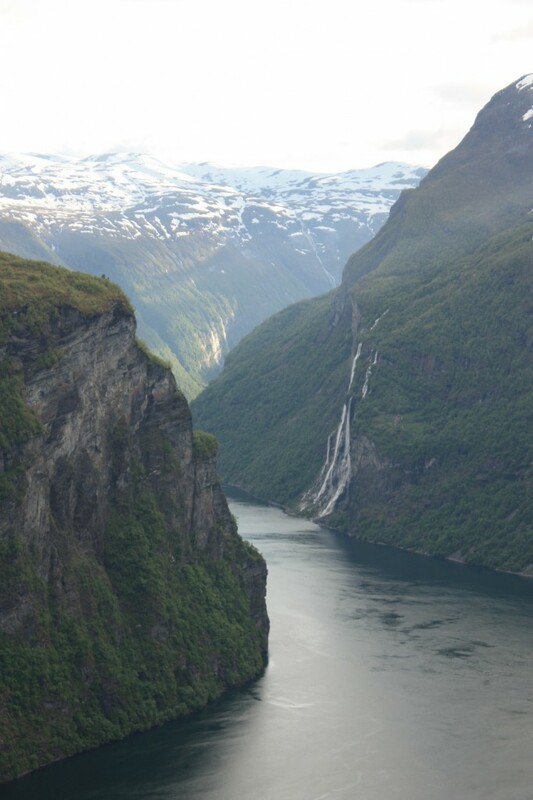 My drive along the Geiranger Fjord was part of a near 24-hour grand tour of Norway’s west-central coast. Think you can’t see Norway in a nutshell in 24 hours or less? All you need are fearless driving skills, the ability to maneuver skillfully on paved goat paths, and lots and lots of caffeine. Oh yeah, and you need to do it in summer, so you can take advantage of 20 hours of sunshine. Stay tuned….